The Holidays are coming! 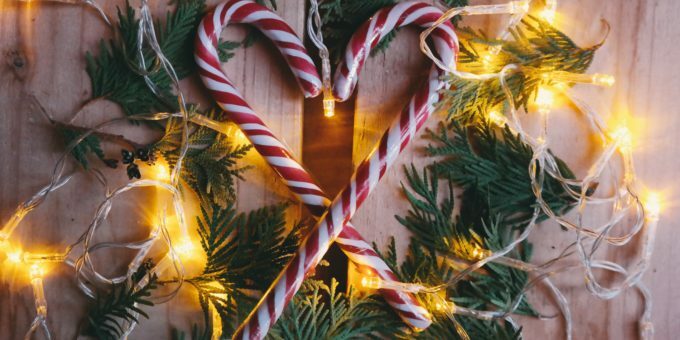 While everyone around you seems to be excited about “decking the halls” and singing joyous “fa-la-las,” you might be feeling a bit overwhelmed and concerned about the seemingly endless food and drink free-for-alls. 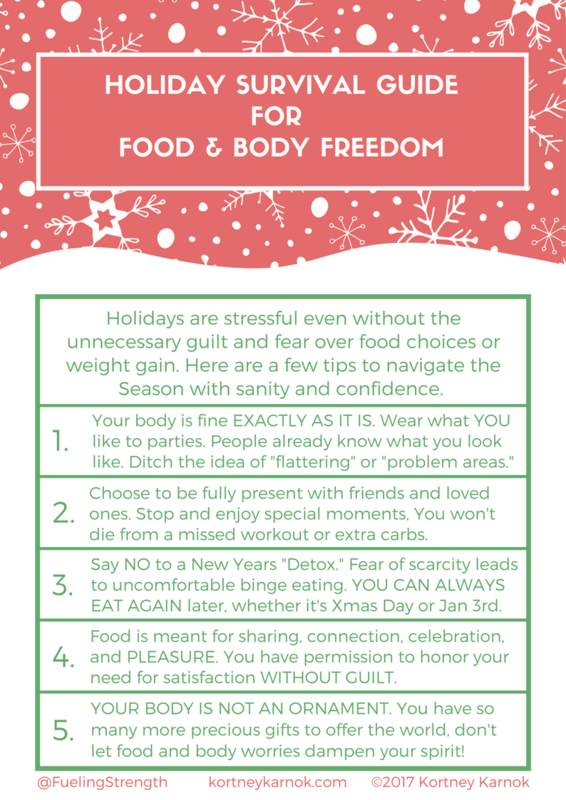 It’s okay to feel challenged during the Holiday Season but don’t let it derail your anti-diet and body acceptance pursuit! Here’s a quick guide to help you survive the chaos and festivities. I’ve created a couple more guides and cheat sheets for making it through the Season. Stay tuned! Feel free to download and share it here!